Wife Of Top WH Staffer Goes On Anti-Vax Rant: Bring Back Our Childhood Diseases, Come Breathe On Me - Joe.My.God. 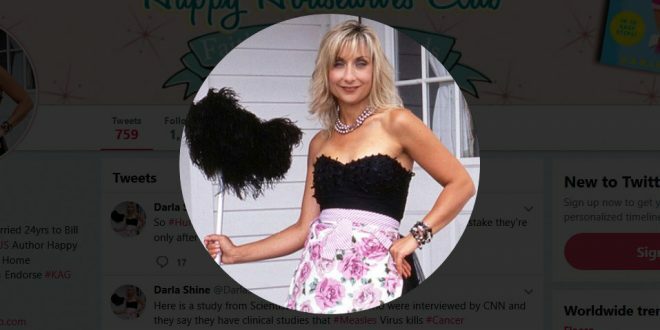 Darla Shine, the wife of White House Deputy Chief of Staff for Communications Bill Shine, went off on an unhinged Twitter rant against vaccinating children on Wednesday. Shine was apparently set off on her Twitter rant by watching a CNN report on a major measles outbreak that has hit the state of Washington, where vaccination rates for children have plummeted in recent years. Shine accused CNN of scare mongering and said that there was nothing wrong with more kids coming down with measles. Prior to joining the Trump administration, Bill Shine was a top executive for Fox News.